The Wisconsin Department of Health Services (DHS) has awarded Mental Health America of Wisconsin a grant to develop and manage the nation’s first peer-run respite home for veterans experiencing distress related to mental health and substance use challenges. The grant requires this peer-run respite to be located in the Milwaukee area, but its services will be available to veterans who live anywhere in the state. It’s a $307,668 start-up grant through June, with annual renewals of $450,000 available to support operations. 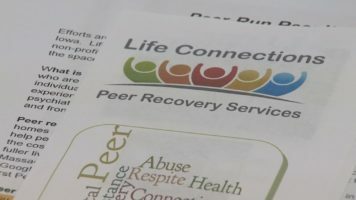 Mental Health America of Wisconsin is in the process of finding a site for this peer-run respite. Disability Rights Wisconsin has advocated for expansion of peer run respite and it is gratifying to see that this new resource will be available for Wisconsin veterans. See this link for additional information.